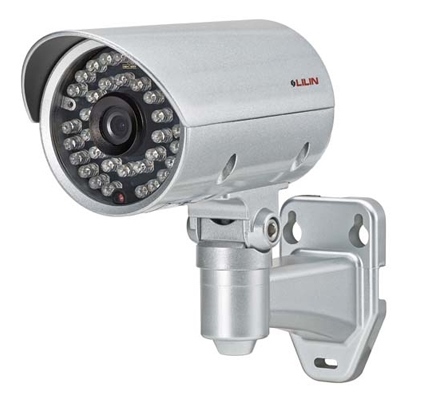 LILIN now offers total solution for retail industry that includes cameras, NVR, and video management system Navigator. The integrated solution focuses on ePOS management, audio recording, easy installation, easy camera setup, energy saving, video management for large cameras installation of retail chain stores. With many features provided, we also provide solutions for low maintenance cost and low operational cost at affordable price. 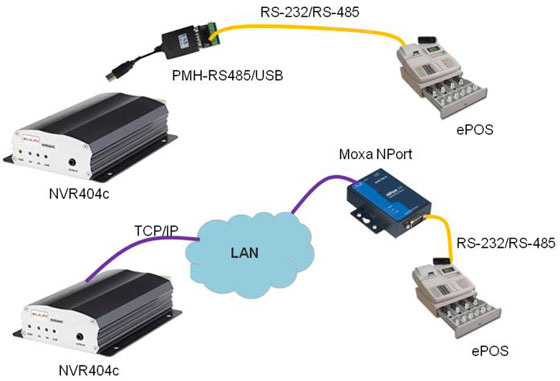 NVR Touch can use USB to RS-485 for connecting ePOS system. The transactions of ePOS can be captured by NVR Touch series. A user can specify a transaction filter to filter the invoice transactions. Select on one of the ePOS event and click on Play button can play the video clips with transactions on the video. 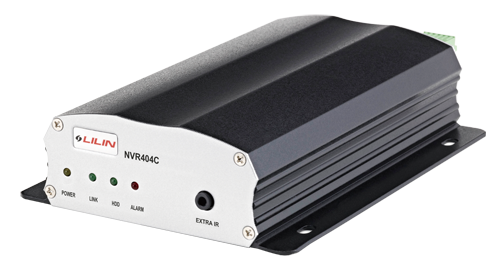 NVR Touch series can provide audio recording received from an IP camera. LD2222 series has built-in microphone can be mounted on top of the ePOS system. The talking in between employees and customers can be later used for training purpose. NVR404C small and compact design allows to install one 2.5” 750GB HDD which allows to record 4 LD2222s at 15FPS for a week or 7FPS for two weeks at 1080P resolution. PMH-POE570WAT, 5-port PoE switch, can be used for the retail solution. The network switch can provide up to 70W power for PoE IP cameras. Plug-n-play, no external power adapter installed right next to the camera is needed comparing to traditional installation. This further reduces installation cost and maintenance cost. One-button camera configuration by NVR Touch, there is no need for configuring IP addresses of all cameras. Recording, network connection, and live monitoring can all be done by the one-button camera configuration. NVR, DVR, and cameras are 24 hours a day, 7 days a week, running machines. Traditional PC-based HD recorder consumes 350W to 500W to get full HD video quality. 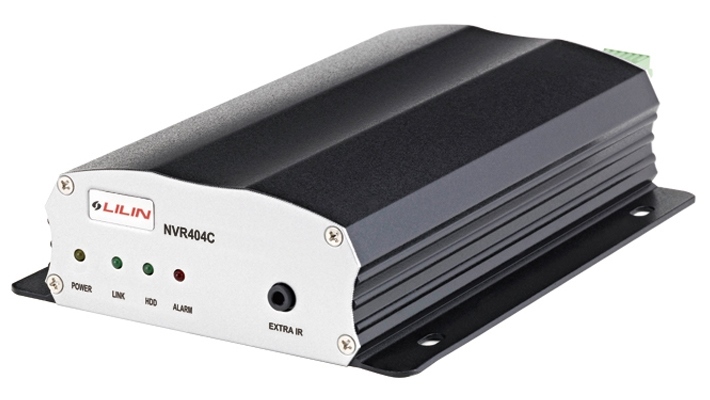 In contrast, LILIN NVR404C consumes only 45W. 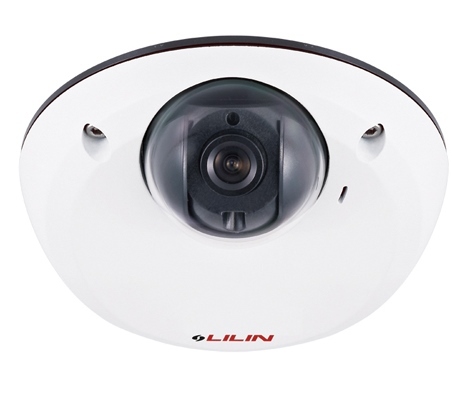 Despite of power saved by a Stand-alone NVR, LILIN's cameras are also eco-friendly. LD2222 consumes 5W at most and LR7022 camera with IR on at night consumes only 10W. Surveillance systems are 24-hour running devices. When purchasing surveillance systems, people tend to see the price, but forget about the electricity. A 400W PSU PC VMS without running a monitor might cost USD $260.04 per year. LILIN's development team does not only focuses on energy saving but also cost-effective products and storage saving. The 1080P H.264 streaming of LILIN's L series needs only 2~3 Mbps at superior video quality because of the 3D noise reduction technology. Comparing to the cameras of other manufactures, it is about 5~12 Mbps for 1080P resolution at 30FPS in speed. In other words, we save hard drive cost in half. Burglar alarm such as a PIR can be connected into LB1022's digital input. Motion detection alarm can also be used at night time for intrusion detection purpose. 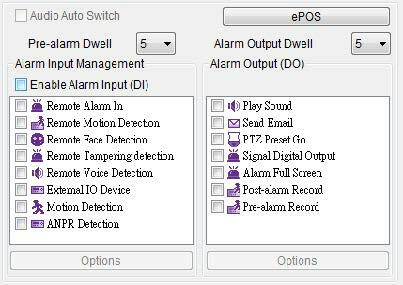 When the alarms get triggered, the alarm information can trigger various outputs such as siren output connected to the digital output of NVR Touch, email with snapshot outputs, and alarm popup at Navigator Software. NAV Alarms received at remote NVR sites can be received at NAV for various alarm outputs.